Continued from Hiking matters #549: After having climbed Smith Volcano and Mt. 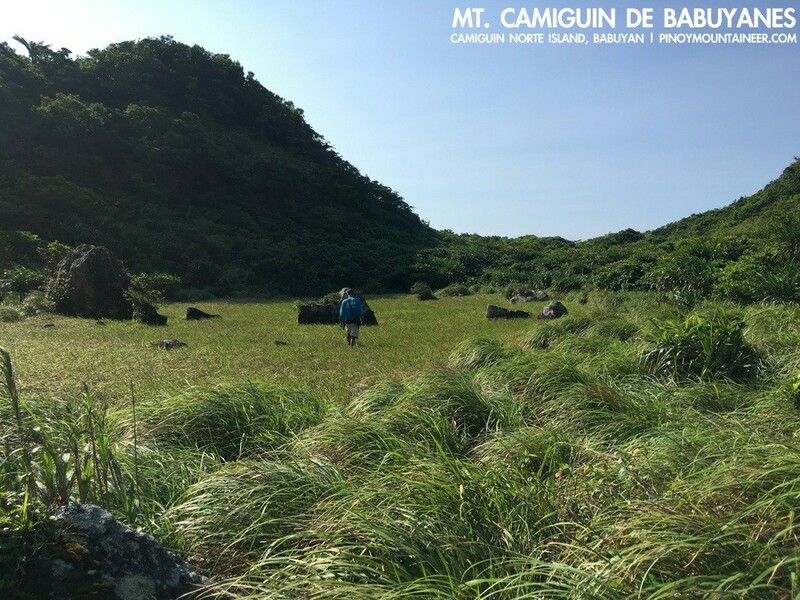 Babuyan Claro, and after having visited Didicas volcano, one final challenge remained: Mt. 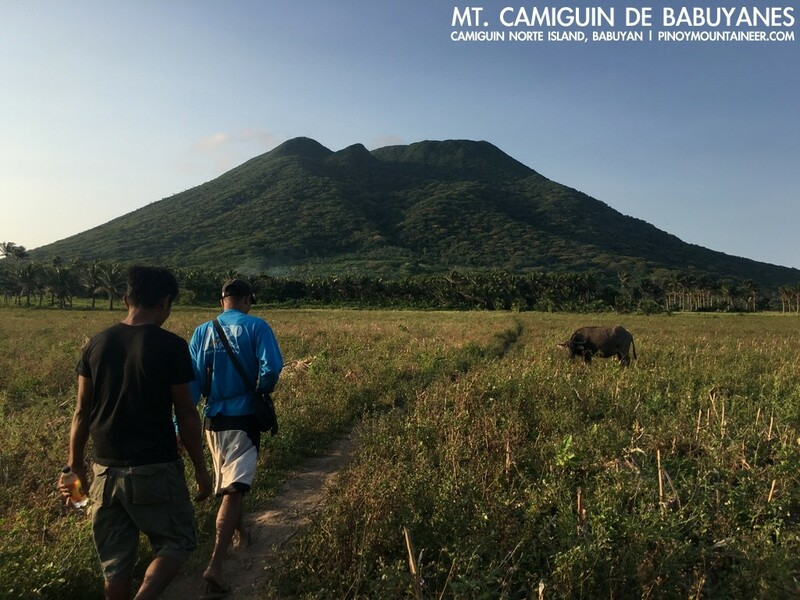 Camiguin de Babuyanes (712m), the highest mountain in Camiguin Island and yet another active volcano in the Babuyan islands. So we proceeded to Camiguin Island: a trip that took another 3 hours from Didicas; by the time we reached the relatively calm waters of the natural bay between Camiguin and its satellite, Pamoctan Island, it was too late to swim in what would have been very nice waters. 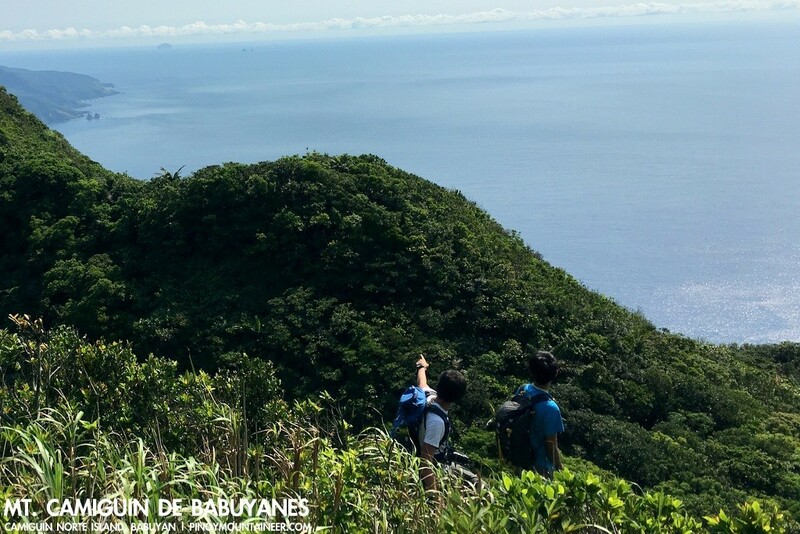 We had actually hoped to climb Camiguin de Babuyanes on the same day as the visit to Didicas, but the sea conditions did not permit an expedited itinerary. 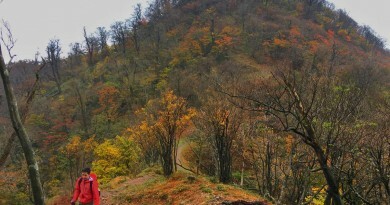 Instead, we had to settle for a hectic final day: a climb to the volcano followed by a return to Sta. Ana, Cagayan. 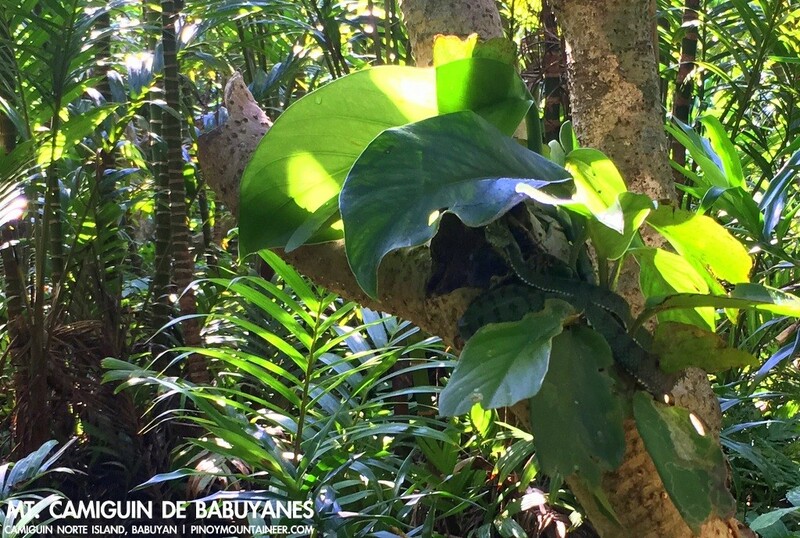 The need to reach the mainland took some urgency when a low pressure area threatened to infuriate the waters, potentially leaving us stranded: a very real possibility in the Babuyanes. Fortunately, the barangay officials of Naguillan were very helpful; they helped us secure habal-habal drivers and a guide (Jun-Jun) for early the next morning; and as luck would have it, a homestay (“Nomads”) that has yet to open decided to open its doors to us, making us their inaugural guests. It was already 2030H by the time we were fully settled; a hearty dinner of adobo was hastily arranged. The following day, we woke up at 0500H for the scheduled departure of 0530H to head to the Sitio Pagitpit, Brgy. Naguillan trailhead of the mountain, which is simply called the ‘Big Mountain’ in the island. 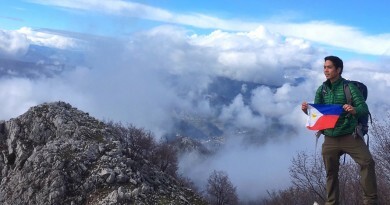 After the expected delays (it was Good Friday after all), we finally managed to start trekking by 0700H. 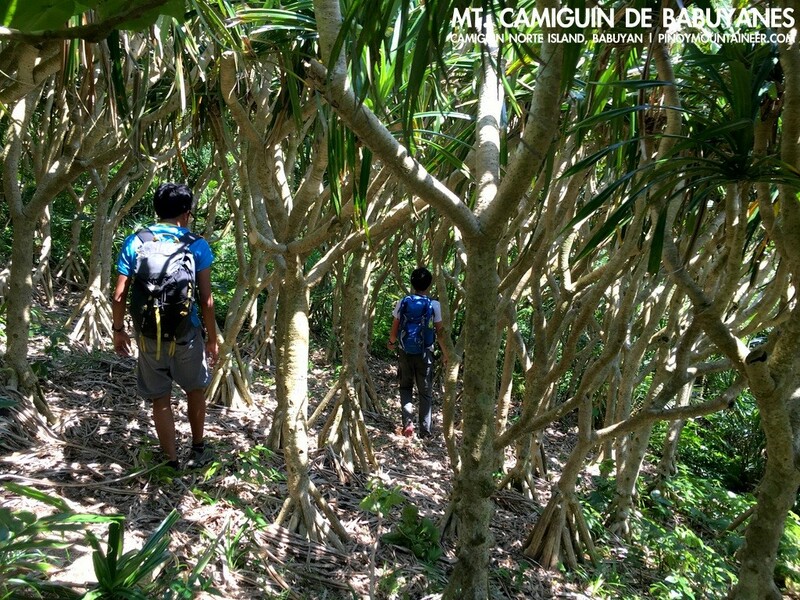 Much of the trail was forested in a way that’s typical of Philippine mountains: Banahaw, Cristobal, Isarog, and Iraya come to mind. 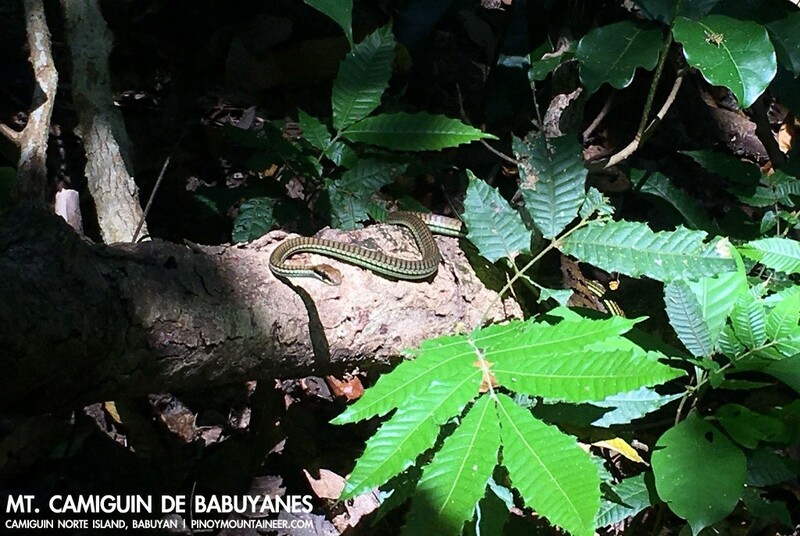 But hikers beware: the forest must be taken seriously as it is replete with various snakes, including the poisonous green pit viper: we saw two on our trek. 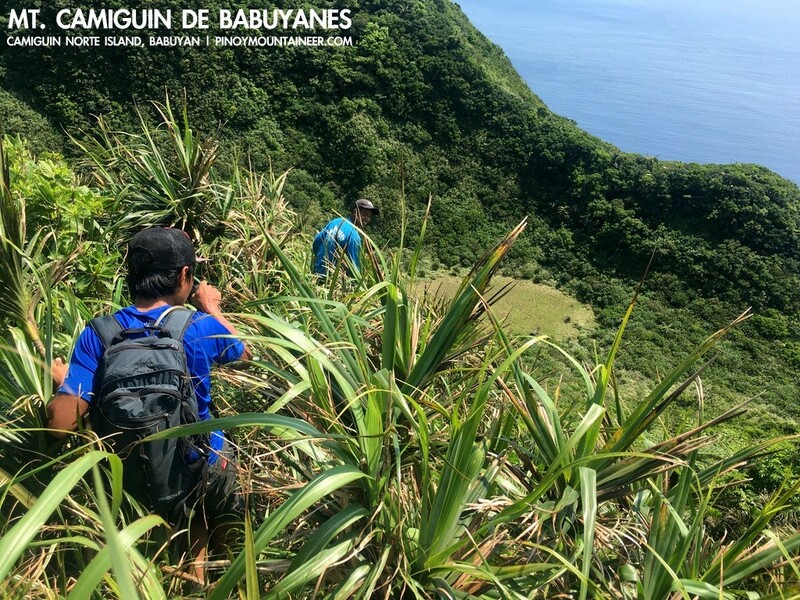 But the hike itself is relatively easy; in just over an hour and a half we were already at the crater – “it becomes a lake when the habagat comes” as our guide said. 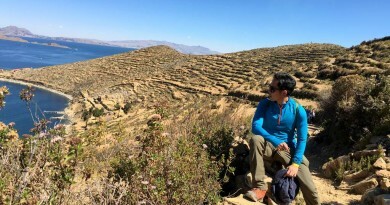 Between the lake are two peaks: a north peak that where an American was said to have lived a long time ago; and a South Peak that is covered with various vines including rattan. Becomes it seemed to offfer more scenic views and the summits’ elevations are relatively similar, we opted for the South Peak. From the crater onwards the trail is non-existent; we had to scramble and crawl our way up rocks and vines until we reached the highest point. 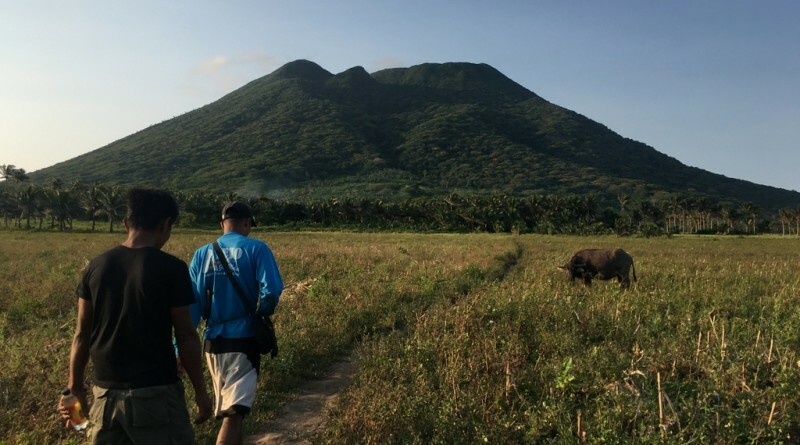 There, behind the North Peak, are views of the other mountains of Camiguin island and, delightfully, the two volcanoes of Babuyan Island – Smith Volcano and Mt. 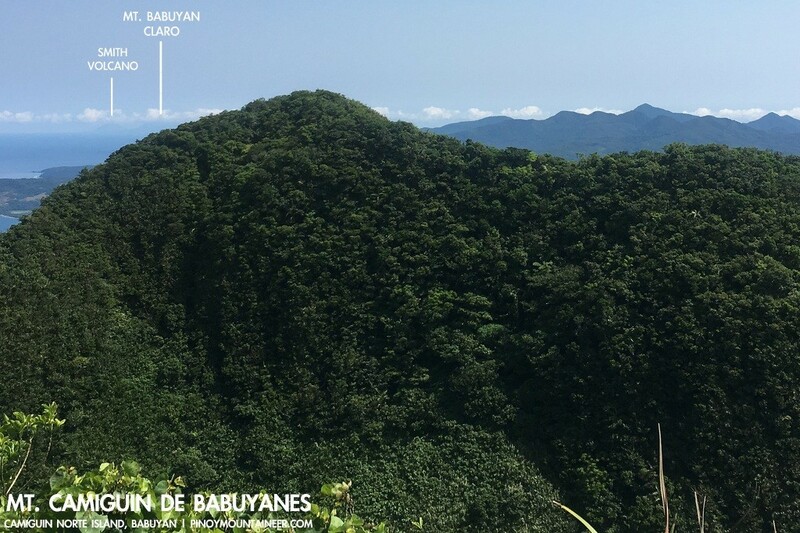 Babuyan Claro – made meaningful for us by the fact that we had actually climbed both of them. Before we descended, we caught a glimpse of Didicas Island to the east, the approach to it guarded by the twin rocks of Dilayag. 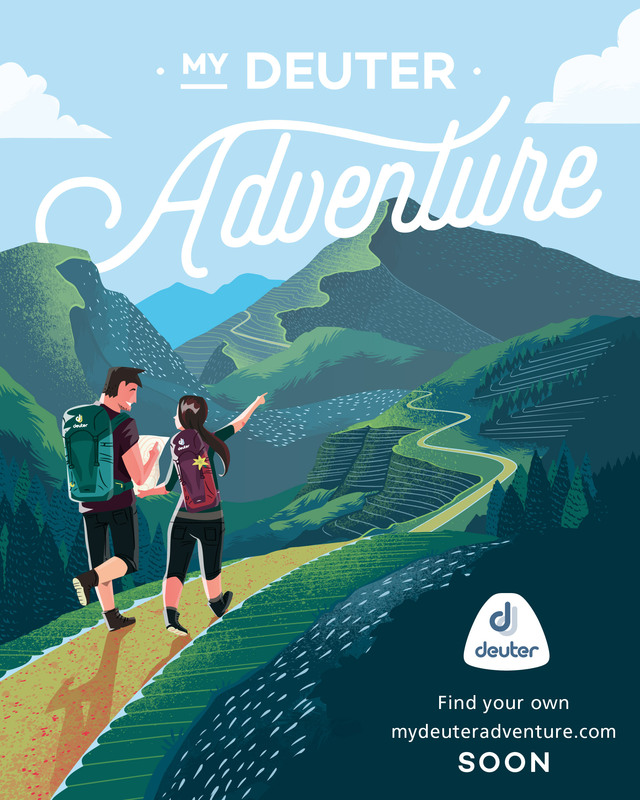 According to our guide there are many more possibilities, including a traverse to the sea; a trek to the fumaroles, and a hike up Mt. Tapya on the other side of the island. 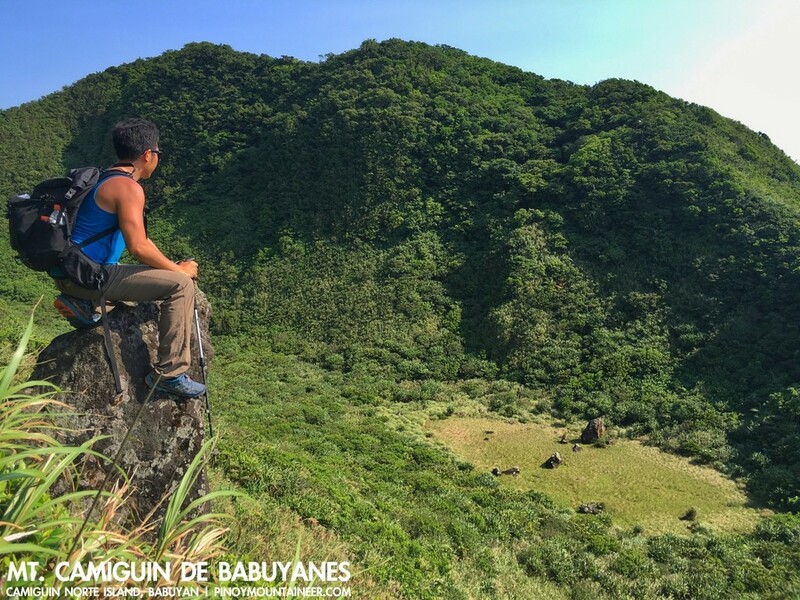 All these will have to wait for the next trip; for now we would have to be content – and in fact, more than happy – to have fulfilled our dreams of visiting the fascinating volcanoes of Babuyan; what we saw exceeded our expectations.